This is a teaching series by Caterina Arzenton, who uses a Japanese Professional couple as a guinea pig to teach her principles of dancing. 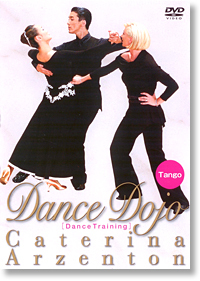 Caterina will show you how she develops and improves couple's dancing by improving their bad habits. She also shows how to teach dancing to your students, if you are a teacher. Quickstep DVD also contains Viennese Waltz.